New York State Assemblyman Michael Montesano, who has represented a swatch of Long Island since 2010, has had six years to name a stretch of road in his district for Billy Joel and has failed. For that reason, his Democratic challenger, Dean Hart, thinks he needs to go. “My opponent is either impotent or is simply not trying, because everyone loves Bill Joel,” Hart recently said. A self-professed “longtime fan” of Joel’s, Hart is now upping the ante. The Hicksville optometrist is pledging $1 million to build a “giant marble statue” in front of the renovated Nassau Coliseum, which is set to open next year. Montesano, to his credit, did fight to have Route 107 named for Joel last year, but he came up against stiff opposition in the State Assembly. The problem? 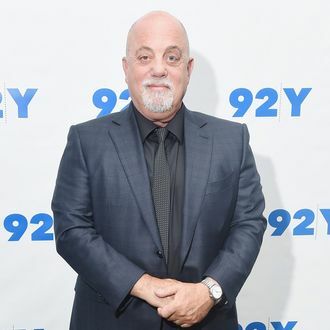 Billy Joel is still alive.